A recently released study by Travel Effect, an initiative of the U.S. Travel Association, found that 40 percent of American workers leave paid vacation days unused each year. With schools across the country back in session and only 29 official days of summer left on the calendar, time is running out to use paid time off (PTO). 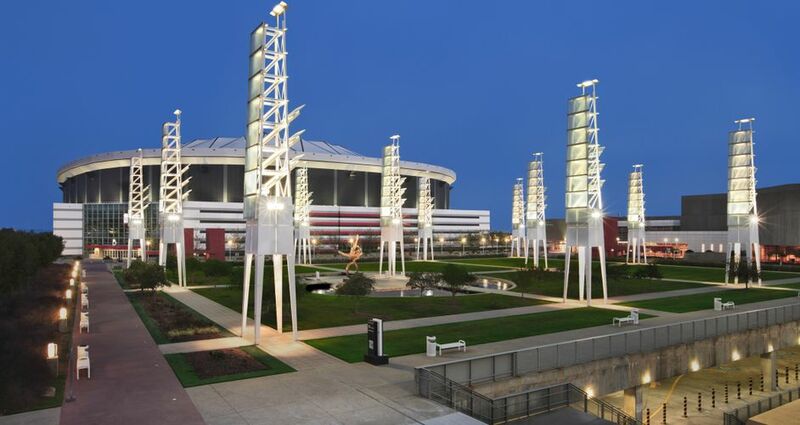 Sports Fanatics: The new College Football Hall of Fame and Chick-fil-A Fan Experience, a state-of-the-art shrine for college football, offers interactive exhibits sure to entertain even non-fan visitors. Over at the Georgia Dome, The Chick-fil-A Kickoff Games will pit Ole Miss against Boise State on Aug. 28 and top-five-ranked Alabama against West Virginia on Aug. 30. For non-football related sports, join 100,000 NASCAR fans for the Oral-B USA 500 at the Atlanta Motor Speedway on Aug. 31. Pop Culture Buffs: Dress up as your favorite comic book, fantasy, or sci-fi character at the 28th annual Dragon Con, the largest multimedia, pop culture convention in the world. Dragon Con’s exhibits and workshops span across several downtown venues, including the Atlanta Convention Center at AmericasMart, Hyatt Regency Atlanta, Hilton Atlanta, Atlanta Marriott Marquis, Sheraton Atlanta Hotel, and Westin Peachtree Plaza. In between sessions, hop on the Big Zombie Tour with Atlanta Movie Tours, a must-see for all The Walking Dead enthusiasts. Die-hard Hunger Games fans will love the Swan House Capitol Tours at the Atlanta History Center. Family Friendly Fun: Take advantage of Fan Days at the Georgia Aquarium and World of Coca-Cola and get discounted admission to both attractions from Aug. 26 – Sept. 2, to coincide with the Chick-fil-A Kickoff Games. Visit the newly opened Center for Civil and Human Rights, with interactive exhibits, historical artifacts and strong imagery that bring visitors face to face with the American civil rights movement and current human rights issues. Save time and money by purchasing a CityPASS, which includes admission to five out of seven of Atlanta’s most-visited attractions, including the Georgia Aquarium, World of Coca-Cola, Inside CNN Studio Tour, High Museum of Art, Fernbank Museum of Natural History, Zoo Atlanta and the Atlanta History Center.